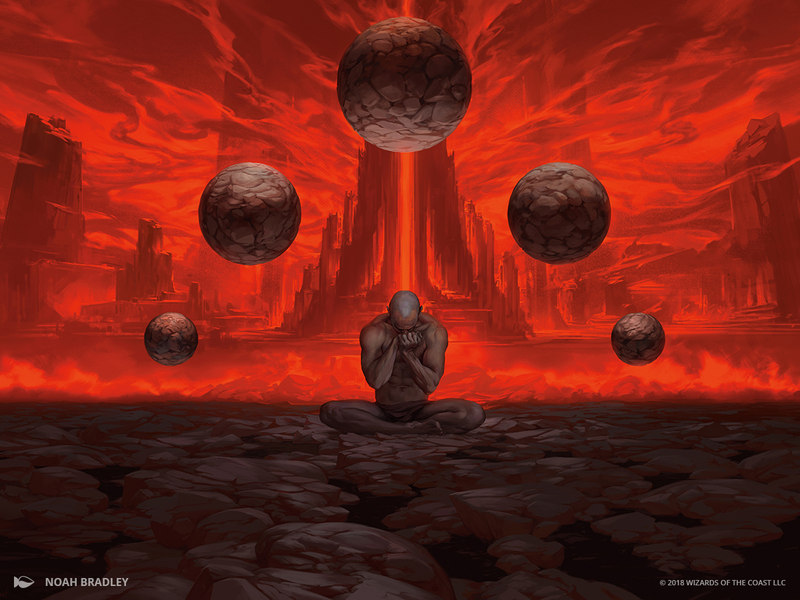 Masters 25 might be a trip down memory lane, but for many, one of the highlights of the set is the new art reimagining classic cards. Let's take a look at a few of these, plus the art descriptions that got us there. 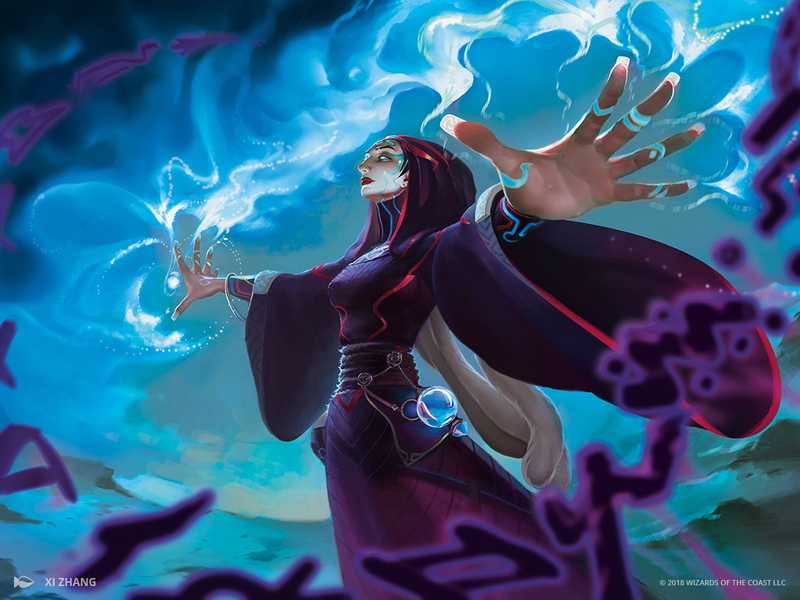 Action: This is an action shot of a Human female Wizard countering a blast of purplish death magic that's about to engulf her. She does it by spreading her hands out in front up her, fingers pointed away from her. Ice-blue magical energy erupts from her hands to disperse the death magic. For the Wizard's costuming, take inspiration from the reference packet, but feel free to tweak it to make it cooler. Action: This is the condemned spirit of a once-noble legendary Human Knight who followed the goddess Serra. Now he is on an eternal quest for redemption. He displays his dishonor by painting his full plate armor black. Start with the Serran Angel armor in the Dominaria world guide, but make it for a male, and paint it black. He wears a full helm. A cloak made from inky black mist is pinned to his shoulders by the circular quartered disks of Serra, which are also painted black. The hood of his cloak is drawn up over his helm. 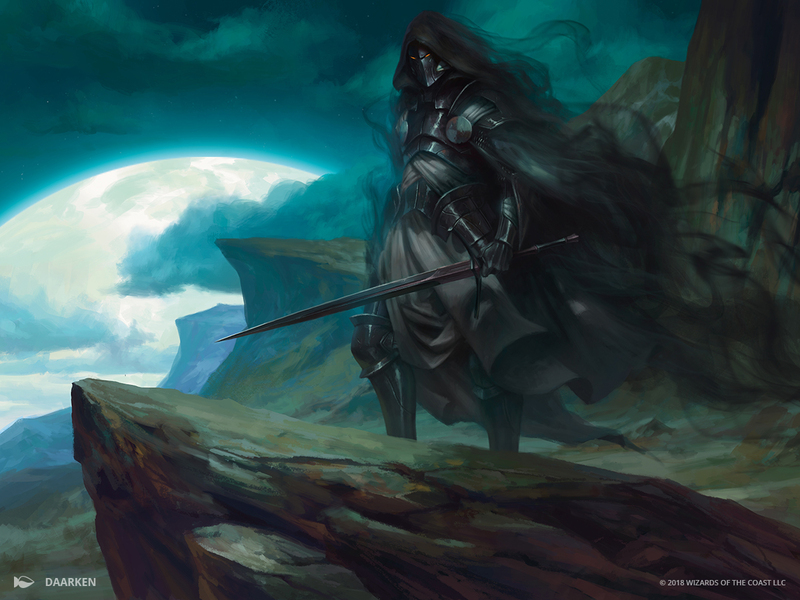 In this shot, we see the cursed Knight at the edge of a cliff, with the moon in the sky. 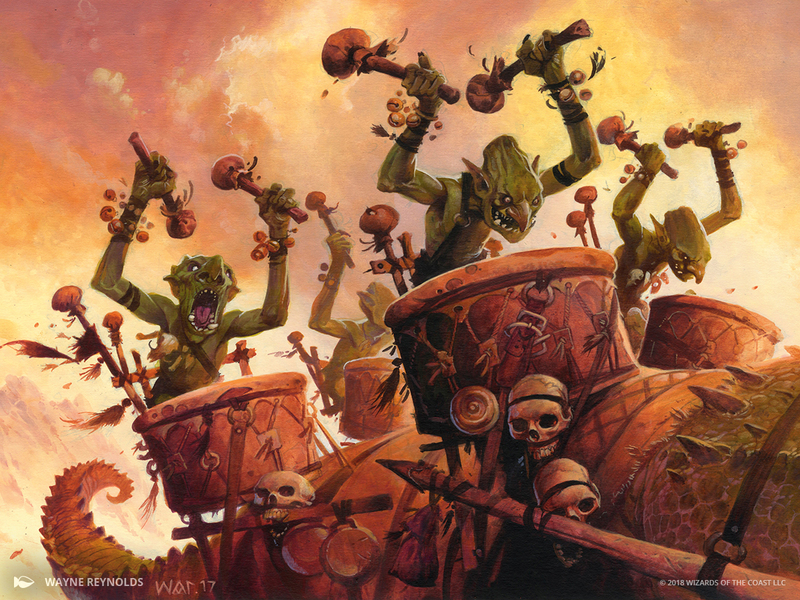 Action: When Goblins go to war, they work themselves into a frenzy with war drums that accompany them into battle. For this shot, show a handful of Goblin drummers heading to war on the back of a huge scaly beast. The Goblins ride in a wood-and-leather harness to which their great drums are fixed. They are pounding on the drums in unison. Because the emphasis is on the Goblin drummers, the beast only has to be implied. Action: This spell represents a powerful, evil sorcerer (yours to design, if we see them) causing the end of the world. They have five "last chances" at power before the end. Action: This is a long, narrow bridge made out of flowstone, a form of living liquid stone—a bridge that doesn't want to be crossed. The bridge is red-brown and striated, like sandstone. The hero Gerrard Capashen is attempting to cross the bridge, but hands of stone reach up out of the bridge to grab his legs, immobilizing him. 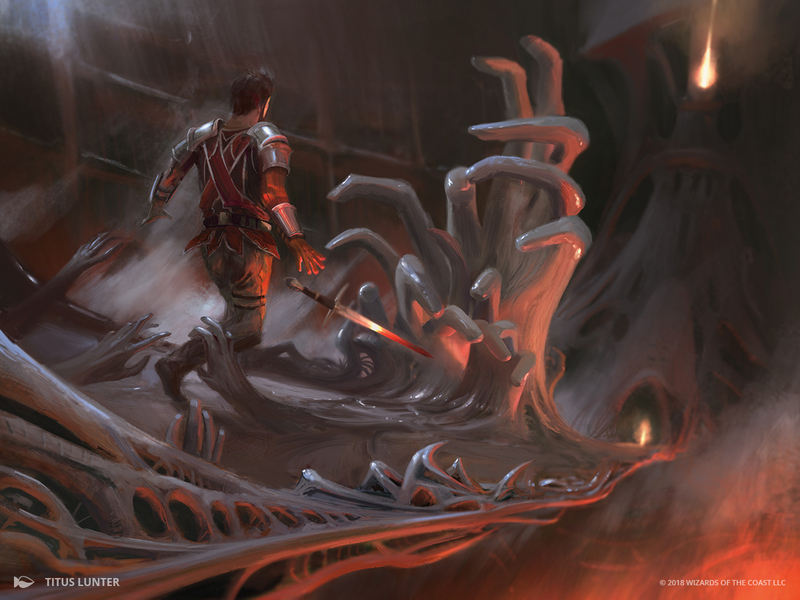 The exact angle and composition aren't as important here—we really just want a cool, modern-Magic take on "bridge that grabs you when you try to cross it." Mood: Malevolent intelligence where you'd least expect (or want) it. Notes: Although the bridge is "alive," this isn't a creature card; make sure it looks more like a bridge than like a wall or an elemental.